Want to sell your goods in Latvia? Omniva is convenient, cheap and the fastest way to send and receive parcel, irrespective of time or day of the week! 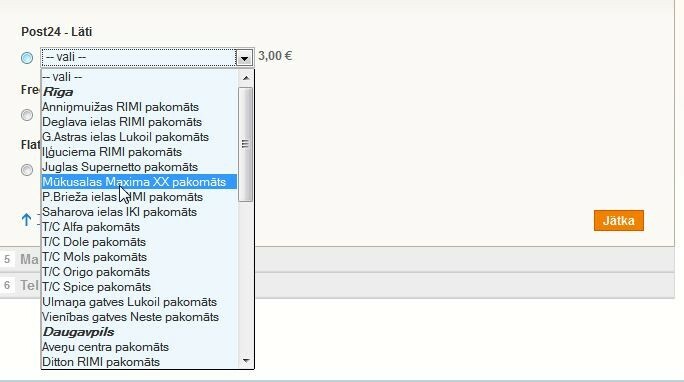 This module allows for your Clients to choose the Omniva Latvia parcel terminal of their preference as a shipping method. Updates the list of the Parcel terminals automatically every 24 hours. (NEW!) Supports multiple parcel sizes (S, M, L). Shipping cost can be calculated per order or per item. Free shipping option from a predetermined sum. All necessary settings are easily changeable at your online store’s administration panel. The module has a number of configuration options, thus providing you with flexible solutions. Module installation is easy taking only couple of minutes to install. Module does not require a contract with Omniva. NOTE! This module is one part of the "All In One" Omniva service pack. 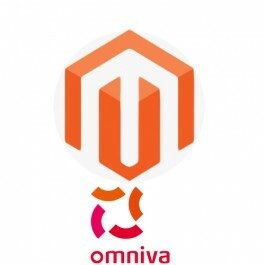 By purchasing this module, you will receive all Omniva´s delivery modules. Keep in mind, that it is only possible to activate the one, for which the licence has been paid. By purchasing given module for your web store, it is only possible to use the module mentioned in the product title.